As a quilter, few things bring me more joy than when one of my quilts is off to a new home. 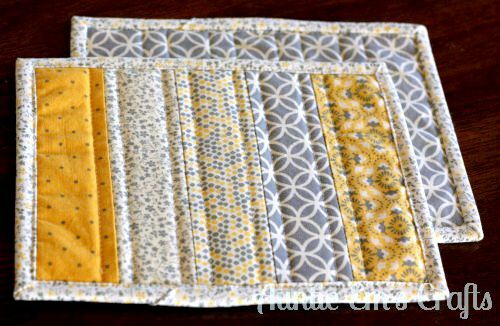 This week, a yellow and gray lap quilt will be going to Florida. I met the owners at church when I was stationed in Oklahoma. Our families quickly became friends. As all military families know, you typical only get a few years with friends before someone has to move away. Since then, I moved off to Illinois and now Utah, and they have moved to Florida. Luckily, Facebook helps me keep in contact with them and the other great people I met during my time with the Air Force. 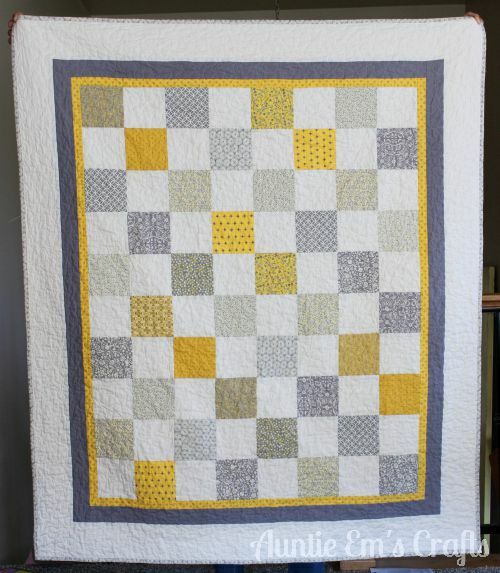 After seeing a yellow and gray quilt I posted on Facebook, Sara wanted a quilt with those fabrics also. 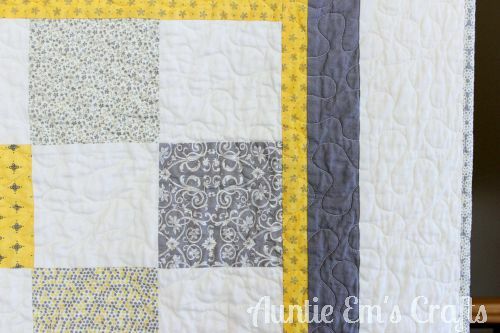 Since I had already made three other quilts with that fabric, I was limited to what was left and had to come up with a pattern that would work for her. Here are the three others. 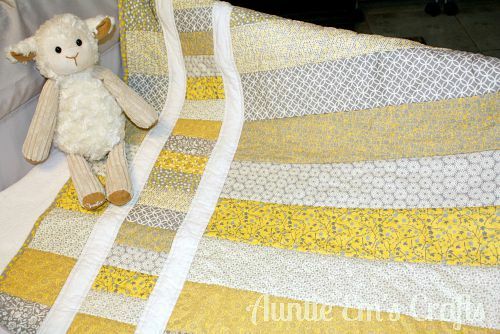 I sold the baby quilts on Etsy in 2012, and gave the throw to my brother in law and sister in law for Christmas 2013. For Sara’s quilt, I purchase a fourth yard of each of the colored borders and two yards of 108″ wide cream for the backing and front. The borders are 1.5″, 2,5″ and 5″ (trimmed to 4.5″ after the quilting.) 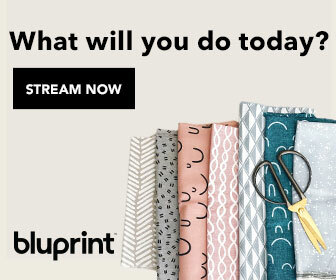 This is the pattern we came up with. 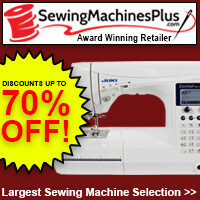 The final size is approx. 50″ x 58″. 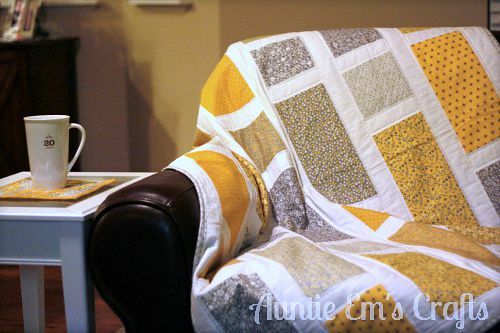 It is petite, but perfect for a lap quilt. I love to make mug rugs to match my quilts, so Sara will get a pair for her nightstands. I made these from a tutorial I wrote for Simply Notable in February. 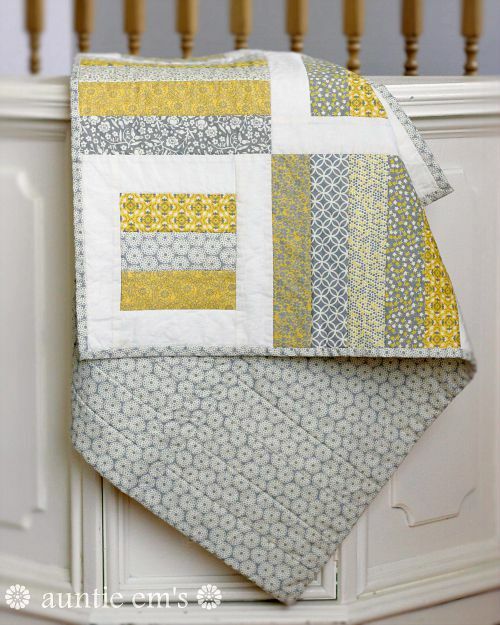 It is a quick and easy pattern and perfect for quilt scraps!